I am going to explain how to graph your design and put in your knitwear. 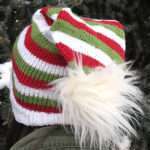 A great benefit of double knit is the ability to create a design and have no backside. The design is actually on both sides. 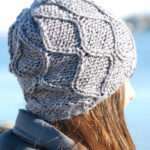 I am going to explain how to incorporate a “CIRCLE DESIGN” in your knit. it is best if you use a bulkier yarn so that you don’t see your in-between row. First of all you want to get graph paper like the paper below. Draw your design and then put “X” in the spots that are contained in the shape you are creating. I put in the X’s to make my circle. Then you continue each row until you finish with 4 stitches on the 12th row. This is the 9th row – 8 stitches of circle, looping every pin back and forth. The you take the opposite color yarn (brown) and weave every other in the same pattern skipping the needles already wrapped. Now every needle is covered and you just loop over. And then you start your 10th row ( another 8 stitches). I hope this helps with graphing your design. Oh, thank you, I’ve been wondering exactly how to do this!!! One question, when you want to add the new color for the design, do you just tie it in a stitch or 2 before you want it? And, do you tie it off once you get to the end of the pattern and then tie it on again when you come to the design again, or just carry it along until you come to the design again. If you do carry it along, where do you carry it, along the edge, or buried inside? Okay, I guess that was way more than one question!!! Thanks!! That’s actually a great question. I forgot to talk about that. Yes you can just tie on a new color right before you need it. You can tie it off when you are done with the weave if you are not going to use it again for a few rows. One thing to remember, the area between your pins is the inside layer that no one will see so you can lay yarn across and tie on other colors and it stays hidden. Also this works best with thicker yarn. Hi, one other thought about doing the yarn carried across the design– Be aware that this limits the stretch in the design area. If you are doing a design in a blanket or shawl etc., you may want the entire knitted piece to be very stretchy. If so, you would want to tie on and knot all your sections. You would tie on at beginning of each color change, and knot and cut. then tie on the main color again. Just do the knots in between the rows of needles and they won’t show. When we do the fleur de lis, for example, we drag the main color. so this would be limited in stretch. I’ll try make hat and baby booties. I found your site utterly superlative. I have already one of your small knitting boards and have made some amazing things with it- and I’m a straight man! Having “man-hands” better suited to gripping hammers and chisels- I always found those normal needles too hard- and being clumsy with stubby fingers. 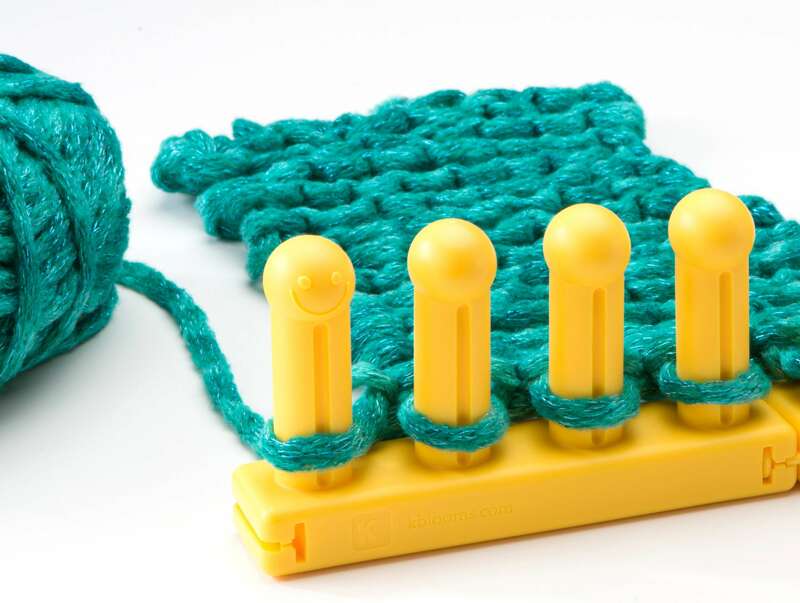 For those who travel- knitting needles are now prohibited on most airplanes. Explaining knitting needles to Customs and Police is not exactly the most embarrassment-free task for a man. Something slightly different- since “real” men are now permitted to knit- I’ve knitted chisel pouches, some tool pouches, a hunting knife belt (all out of leather-strips), a handy-man belt (much stronger than the usual store-bought rubbish), welding and cast forging mitts (using both wool and a ceramic fibre) and high-strength sawchip bag for my industrial wood saw- made out of stainless-steel wire. And the wife gets me out of her sights too! I hope more men may take up the fun- it offers such huge possibilities for us traditional handy-type “blokes”. Thanks for the great instruction. Very handy. I purchased the Knitting Board Basics book…I am on the chapter Creating Patterns with Color..On page 53 they are showing 2 designs on the bottom of the page..and there is no charted design for these..
can someone help me on locating these 2 designs..